Justin Hanks said he was so “overjoyed” to win a $5,000 award from the Maui Economic Development Board that he almost cried. The 2018 King Kekaulike High School graduate received the Daniel K. Inouye Innovation Award at MEDB’s annual Ke Alahele Education Fund dinner Saturday night at the Grand Wailea. “It’s going to be so helpful,” Hanks said Sunday via telephone from Washington state, where he attends the DigiPen Institute of Technology. On Saturday, MEDB also awarded three Maui County public school teachers with the first-ever Czechowicz Award, created by retired teachers Lesley and Pawel Czechowicz as a way to honor their mothers by recognizing exceptional educators, said Leslie Wilkins, president and chief executive officer of MEDB. Cindel Jacintho of Lanai High and Elementary School, Iolani Kuoha of Molokai Middle School and Emily Haines-Swatek of King Kekaulike were each given $5,000 “to use as they please,” anywhere outside of the classroom. Just in his first year of college, Hanks is already a success story in many ways. He’s the oldest of nine siblings and plans to be the first in his immediate family — siblings, parents and grandparents — to graduate from college. Hanks’ parents had a drug-abuse problem, and when he was 12 years old, his grandparents Cindy and Greg Hanks were given custody over their grandchildren. “Even when I was living with my parents, my grandparents bought me clothes, made sure I enrolled in school, paid for my yearbooks,” Justin Hanks said. Cindy Hanks worked the Costco morning shift until she quit her job to take care of her grandchildren. Greg Hanks worked construction seven days a week to support the family. They encouraged their grandchildren to get involved in school activities and paid for Justin Hanks to attend state-level STEM (science, technology, engineering, mathematics) club and robotics activities. “They’ve always been there to support me no matter what,” said Justin Hanks, who dabbled in everything from STEMworks to soccer to drama club at King Kekaulike. 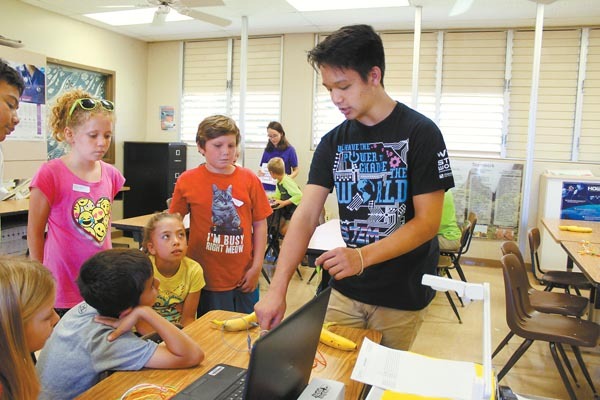 His senior project involved hosting STEM camps for 100 Upcountry elementary school students. In the summers after his junior and senior years, he also interned with Monsanto, where he built temperature and moisture probes. The probes allow workers to remotely monitor refrigerators where seeds and plants were stored, as well as monitor moisture in the soil to create better watering schedules. Most water schedules are time based, he explained. The probes helped workers water at times when the plants actually needed it, instead of overwatering them or forcing them to wait until a scheduled time, which stresses out the plants and shows up in the final product. The projects helped him win the $5,000 award. Justin Hanks said he can’t put the money toward his tuition but said it will likely go toward a new laptop, schoolbooks and a ticket to come home for winter break. 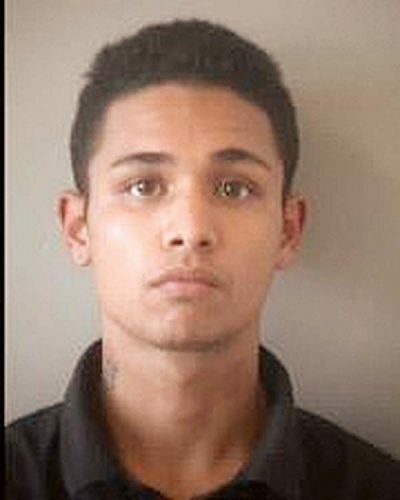 As for his future career, he said he “could see myself working in agriculture,” but is also interested in aerospace engineering, electrical engineering and developing new technologies. The diversity of STEM careers is exactly what Haines-Swatek tries to teach her students. “It’s always been a focus on students becoming self-directed learners and using their technology to help the community,” she said. 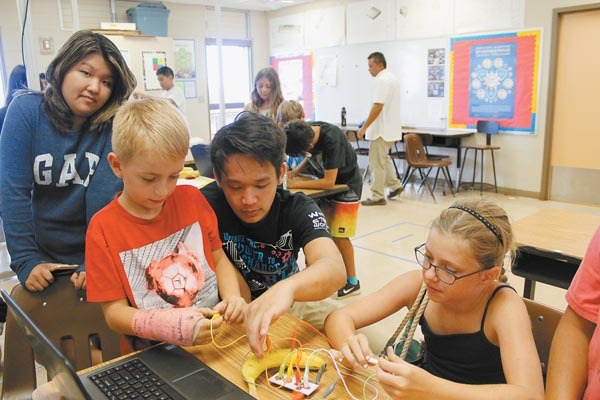 Haines-Swatek said King Kekaulike’s STEMworks program is an elective and usually draws about 40 to 60 students each year. She said while students may not use certain activities in their future careers — such as GIS mapping — they’re developing the confidence to walk into a new environment and learn new technology they’ve never used before. ferent environment than the classroom in that I’m a facilitator,” she said. “So they’re not getting direct instruction on the software. 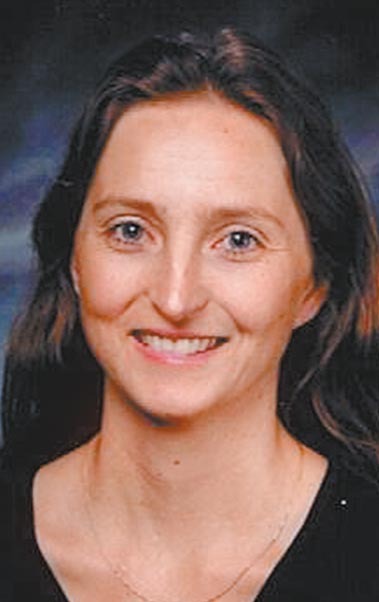 Haines-Swatek said she hadn’t decided how she planned to use her $5,000 Czechowicz Award. She might save it for a summer trip. 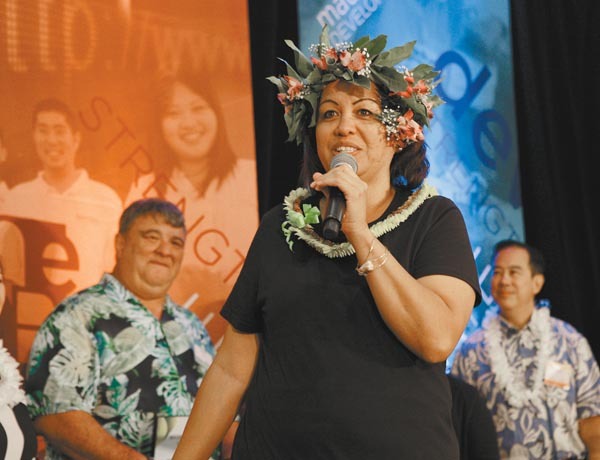 Fellow winner Kuoha has been involved in STEM education on Molokai for over a decade. 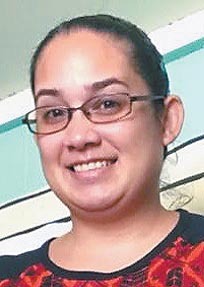 She is the STEMworks facilitator at Molokai Middle School and also teaches at ‘O Hina I Ka Malama, the middle school’s Hawaiian immersion program. Kuoha could not be immediately reached for comment Sunday evening, but MEDB introduced her Saturday night as “incredibly dedicated, loves to integrate STEM and the Hawaiian culture and provides endless opportunities for her students to engage and grow as young STEM leaders.” Kuoha recently finished her master’s degree while juggling her family and full-time teaching job. Jacintho, meanwhile, is the STEMworks after-school instructor for Lanai High and Elementary School. Under her leadership, the program has focused on drones, computer-aided design and 3D printing — even teaching students as young as kindergarten to safely fly drones.